Animals have always been part of history and have been existing as long as humans have. Snakes, lions, tigers, bears, cats, among other animals have been used as themes for online slot games. Here are top 5 animal slot themed games we are sure that you will love to play. Step out of your comfort zone and enter the jungle to have a wild adventure. 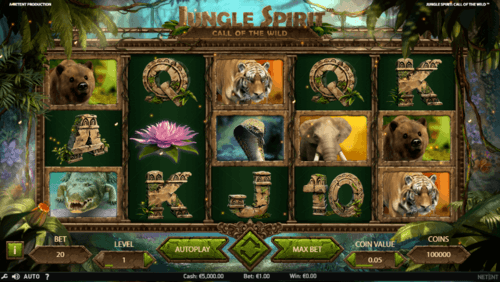 Jungle Spirit: Call of the Wild by NetEnt is 5-reel and 243 winning ways slot game that brings the jungle spirit to your computer screen. The visuals of this game are eclectic and the theme is jungle related. 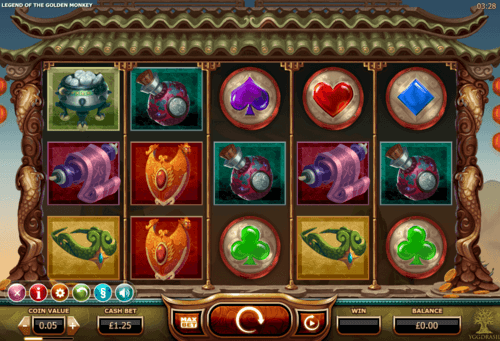 On the reels are animal icons and playing card values. Spin the reels and line up matching symbols for unique rewards. Enjoy the bonus rounds, free spins, scatters, wilds and other bonus rounds of the game. Jungle Spirit: Call of the Wild has an RTP of 96.47%. 7 Monkeys Slots UK are 5-reel, 3-row, 7-payline animal themed slot by Pragmatic Play. Monkeys are funny creatures and will offer you fun and rewards when you play around with them in this game. The only bonus game of this slot game is the free spins. This game’s RTP is 92.71%. Monkeys love bananas and three or more bananas that act as the scatter symbol is landed on the reels, up to 50 free spins game gets triggered. Each free spin comes with a multiplier. The graphics design is nice and comical, as you will see funny looking monkeys on the reels. Pragmatic Play develops Hot Safari to allow you to hunt for fun and treasure in a wild environment. 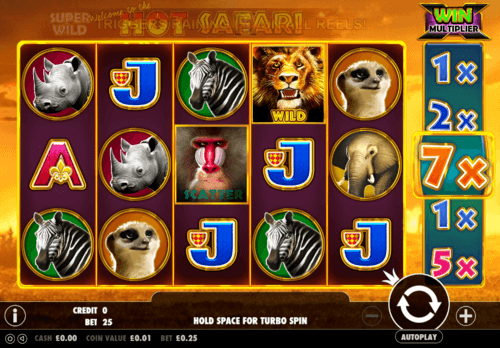 The Hot Safari Online Slot outlook is great, as one will see a bright sun at the backdrop of the reels illuminating them with its yellow rays. The sounds of the game are realistic animal sounds. African wild animals occupy the reels. The developer has incorporated an RTO of 96.17%, multipliers, free spins, wilds and scatters and other innovative features of the game for you to enjoy during play. The lion and bamboo respectively represent the wild and scatter. Each of them comes with special offers in the game. Legend of the Golden Monkey is a 5-reel and 25-payline slot game that will take you across the Far East to fight with the brave and dauntless king of monkeys. The developers Yggdrasil has made this game using brilliant graphics and sound that will compel you to play this game all day. This game with an RTP of 96.50% has sticky wilds, golden monkey feature, free spins, treasure chest and more all of which will enhance your chances of landing the jackpot. If you adore animals, you will assuredly enjoy this slot game. In this game, you do not have to hunt for animals but create them on the reels. 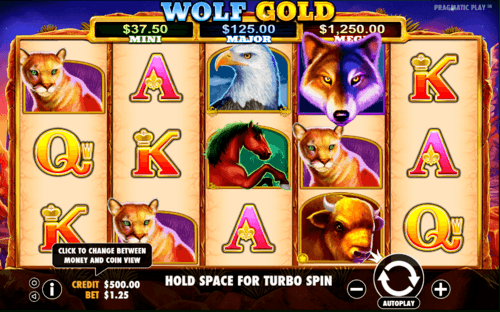 The design of Wolf Gold online slots uk and the graphics look revitalizing and superb. Pragmatic Play presents to you another slot game with an RTP of 96.00%. The theme of this game is western inspired. This 5-reel and 25-payline slot game present free spin features and other bonus games that will better your gaming experience. We have now come to the end of the top five animals themed slots that you will enjoy. If you want to play these slot games, you can play them here at Rose Slots on your mobile devices and desktop.